WASHINGTON (Sputnik) - Only a tiny fraction of American voters consider Russia a friend of the United States, while more than a third consider the country an enemy, a newly published poll revealed on Wednesday. Just 5 percent of US voters said they considered Russia a "friend" of the United States, while 21 percent said the country was "friendly, but not an ally," the poll by Politico and Morning Consult showed. Meanwhile, 32 percent of those surveyed said they regarded Russia as an "unfriendly" country, while 28 percent said they considered it an "enemy" and 14 percent said they had no opinion, according to the poll. Only North Korea and Iran are regarded as even less friendly than Russia, with only 2 percent of US voters saying they considered those countries allies. Meanwhile, France, Germany and the United Kingdom fared better among US voters, with 55 percent, 42 percent and 65 percent, respectively saying they regarded those countries as friends. 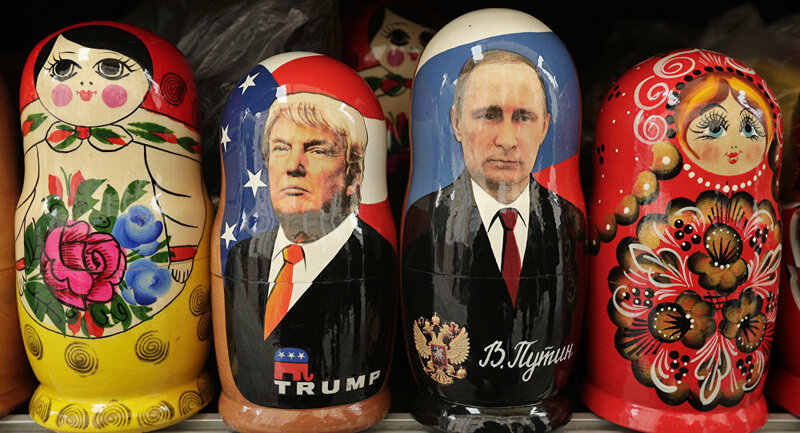 Nearly a quarter of US voters — or 23 percent — said they thought the US relationship with Russia was "too close," while 23 percent said relations were "about right" and 32 percent said ties were "not close enough." What concerns the domestic policy, only a small minority of American voters, 36 percent, say they plan to vote for President Donald Trump in the upcoming presidential election, while 44 percent said they would instead vote for the Democratic candidate, the poll found. The poll surveyed 1,993 registered voters between May 17 and May 22 and has a margin of error of 2 percent. The mistrust between the US and Russia seems to be mutual, as the survey conducted recently shows that the majority of Russians believe the US government is meddling in Russian politics, whereas 69 percent of Americans said the same about Russian interference in Washington's affairs. Meanwhile, an increasing number of US voters agree with Trump's criticism of the investigation conducted by Special Counsel Robert Mueller as a partisan witch hunt. Mueller has been investigating allegations of Trump campaign collusion with Russia for more than a year. The White House and the Kremlin have repeatedly denied the claims, calling them groundless and absurd.